The convener of Save Nigeria Group, Pastor Tunde Bakare has on Sunday told President Muhammadu Buhari, to proclaim an executive order urgently to facilitate national reconciliation and restructuring. 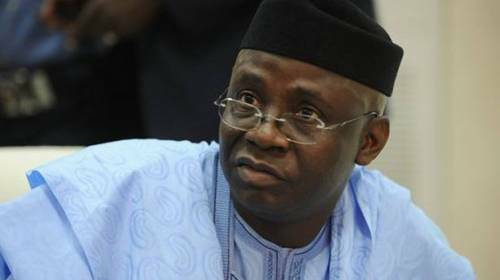 According to reports, Bakare gave the advice at a news conference in Ikeja against the backdrop of the persistent call by opinion leaders for Nigeria to be restructured to engender equity, unity, peace and progress. Bakare, who is also a pastor at Latter Rain Assembly, stated that the executive order should be proclaimed in consultation with the National Assembly and the council of state, to establish a presidential commission to facilitate the restructuring. The cleric however said that restructuring would return Nigeria to the winning formula of the past that facilitated the country’s socio-economic development. “To chair the presidential commission, the president should appoint a wise and discerning Nigerian who must be incorruptible and of unquestionable integrity and highly respected. “The person should be able to build bridges among the diverse interest groups in the country and willing to serve his or her fatherland without remuneration. “The chairperson should evolve the presidential commission into six zonal commissions and appoint for each zone, a zonal commissioner. “The zonal commissioners should be technocrats, mandated to create and implement a master plan for their respective geo-economic zones and coordinate the transition of the economy in their zones. “The presidential commission will launch a nationwide reconciliation and reintegration drive and should creatively communicate the new Nigeria with a compelling national vision and a brand identity. “The commission should institute a social impact bond for the implementation of the zonal economic master plan. The financing scheme should be structured into key sectors, including agriculture which we have neglected. “We should be ready to reject who we are not and reaffirm who we are. “It’s time we say no to a defective system that throws up the worst of us for leadership. It’s time to say no to a system that only breeds defectors because it is only defective people that defect. Bakare also recommended that the Federal Government prioritizes the welfare of every Nigerian.